Chuldow Keighley moves to full time, state of the art premises! 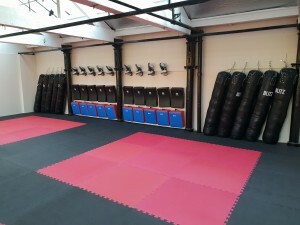 Our new premises at Keighley Business Centre open today with 90 square meters of matted training space, numerous kick bags, battle ropes, target paddles, kick shields and other assorted fitness equipment to make your lessons incredibly fun and varied. With a comfortable reception area with free Wi-Fi, coffee and tea facilities and a full CCTV view of the mat parents can relax during children’s classes or for those wanting to observe first hand we have a viewing area adjacent to the mats.